At 55,000 square feet and 106 rooms, the Elm Court Estate retains the title of the largest American Shingle Style home in the United States. The structure was built by William Douglas Sloane and Emily Vanderbilt (granddaughter of Cornelius Vanderbilt "The Commodore") along with architects Peabody & Stearns in 1886. Emily's brother, George, built The Biltmore in Asheville, North Carolina and her sister, Eliza (Lila), constructed Shelburne Farms in Shelburne, Vermont. Both properties, along with Elm Court, are registered as National Historic Landmarks. The Elm Court Estate was originally constructed as a summer cottage to be enjoyed by family and friends. After many structural and aesthetic additions and renovations, the home culminated in a finished version after the turn of the century. 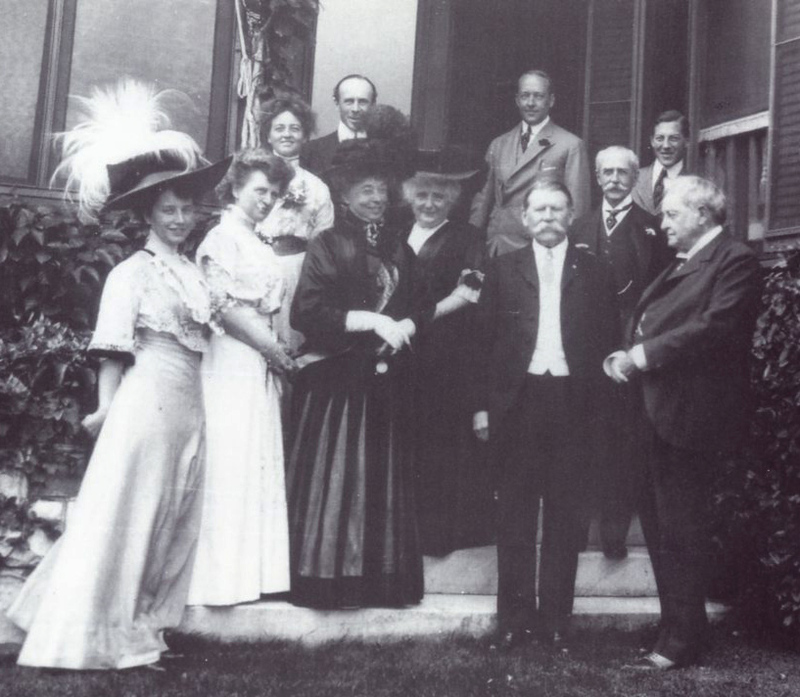 In 1919, the Elm Court Talks held at the home ultimately led to the creation of The Treaty of Versailles and League of Nations. The property's use evolved into Inn status in the late 1940s. During the 1950s, it embraced the public for dinners, overnight accommodations and events. Eventually Elm Court's doors closed, and for approximately 50 years the mansion succumbed to significant theft and vandalism. The planning and restorative efforts for Elm Court began in 1999 through the work of family descendants. A great granddaughter, in unison with her son and his wife, embarked on this grand effort. The philosophy of this endeavor is one of sustainable preservation—to preserve the past, live in the present and evolve for the future.